Originally the kitchen, breakfast room, and living room were three separate, walled off spaces. 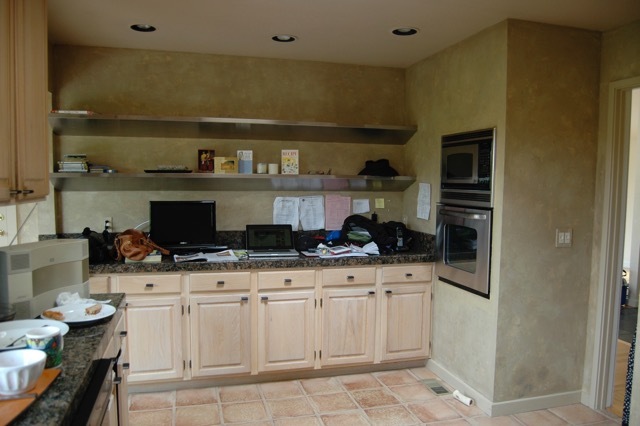 Crowded and cramped, the kitchen lacked both looks and function. 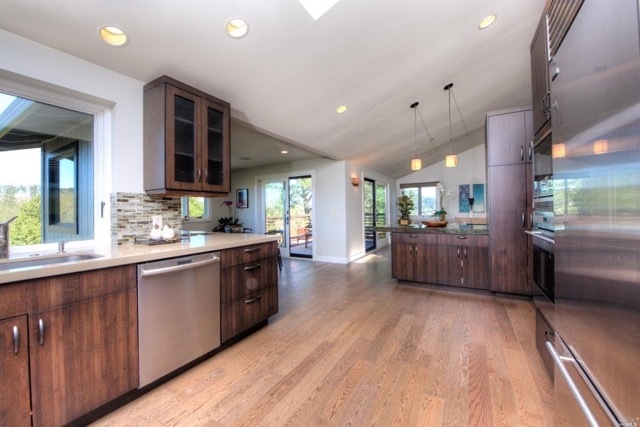 Removing the wall between the kitchen and the spaces beyond produced a dramatic improvement in function, style, and livability, integrating them into one large, inviting whole.